Momentum (CD LR 274) and Momentum 2 (CD LR 296) received tremendous critical acclaim. 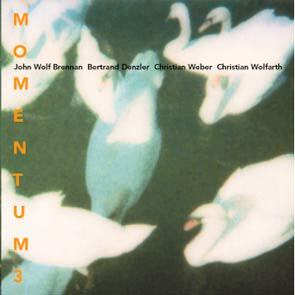 Momentum 3 continues to explore the same aesthetics, but the line up of the group is different again: John Wolf Brennan - piano, Bertrand Denzler - tenor saxophone, Christian Weber - bass and Christian Wolfarth - drums. Nowadays it is very difficult to come up with something new in the improvised music, but Momentum 3 does exactly that.